Internees were transported to Loveday Internment Camp by train. For those who lived far from South Australia, it was a long journey of discomfort and degradation. Sometimes the wagons were sealed and the windows barred. Sometimes people from the towns through which they passed gathered to pelt the train with rotten fruit and abuse. Enemy aliens from far north Queensland were arrested and held in prison cells in Stuart Creek Gaol, Townsville for up to two weeks until there were sufficient to fill a special train to Brisbane. The numbers dispatched were staggering. On 11 June 1940 96 were sent away; on 21 June 1940, 147; on 15 December 1941, 144; on 6 March 1942, 310; on 14 March 1942, 317; on 2 April 1942, 345; on 14 April 1942, 308; and on 24 April 1942, 248. Up until June 1942, the total number of internees dispatched from Townsville was 1915. At Stuart Creek Gaol they were treated worse than the convicted criminals. For the following accounts, I am indebted to the National Archives of Australia and Peter Dalseno, who wrote about his own experiences of internment in his book Sugar, Tears and Eyeties (1994). In a letter of complaint to the Swiss Consul in Brisbane dated 19th April 1942, signed by sixteen Italian women (accompanied by their children), conditions at the Stuart Creek Gaol were described in detail. On our arrival at the place at about 8.30 p.m. without food from 2 p.m. we were led to two rooms into which 22 of us had to sleep on just mattresses laid out on cement floor. Alongside one of these rooms was a small place with a sink for washing, its drainages were blocked, allowing a constant flowing of water into the room and under mattresses. Complaints made but attention was not satisfactory. Every evening at 4.30 we were locked in these rooms without fresh air from any direction and not unlocked till 6.30 next morning. Mosquitoes and flies were unbearable, rats gnawed at our clothes. Several women and children became ill and nothing was done about it. The sanitation system was also very bad. The lids of the 2 boxes (earth closet toilets) which were only a few yards from the rooms in which we lived 14 hours out of the 24, for 7 long days, would not close thus developing foul air. Alongside these was 1 shower running with blocked drainages. The food was most unpalatable, overcooked rice for breakfast, dinner and tea the first day, and followed the next until we refused to eat it. An excerpt from another letter of complaint about Stuart Creek Gaol, dated 7th April 1942, signed by 174 Italian male internees raised similar issues. The gaol is not a proper and fit place to house internees who are not criminals but only civilians detained for National Security purposes. The food was detestable and consisted only of very little boiled rice mornings and afternoon and little gravy stew at midday. We were there for eleven days, and they did not give us a bath, or sufficient drinking water. An investigation by the Stipendiary Magistrate of Townsville found that the gaol was never intended to take such numbers, and was grossly undersupplied with the most basic of requirements. The male toilets consisted of ‘two pan cabinets in each yard, open to the view of the whole yard.’ The male internees ‘had to sleep in the open, on the ground, without any sheet or mattresses under them, and with no covering other than what they brought with them.’ Luckily there was little rain. The police response to complaints lodged by two of the male internees argued they were never at Stuart Creek Gaol because they were arrested outside of Rockhampton (700 kilometres to the south of Townsville) and were held at the Rockhampton watch house instead. The police provided a menu to refute the men’s claims about poor food. Breakfast – either fried steak, onions and gravy, or fried sausages and gravy or rissoles and gravy, together with four slices of bread and butter, and a pint of tea. Evening meal – consists of cold meats, salad, three or four slices of bread and butter, and one pint of tea. Peter Dalsino, who was also captured in far north Queensland, provided the following recollection of the interminable train journey to Loveday. … The train rattled on. How many days? A journey involving four States. Three brothers from central Sicily were typical of the Italian farmers who were interned at Loveday during the war years. This is their story. Arrival: In 1922 Giuseppe (age 28) and Angelo (age 31) were sponsored to Australia by an established Italian cane farmer from Bartle Frere in Far North Queensland. In exchange for their steamer passage, which would have been otherwise unaffordable, they worked for him without pay for eighteen months. Afterwards they joined a cane cutting gang during the season, and prospected for tin and gold during the slack. In December 1924 their youngest brother, then a lad of seventeen, joined them. In all, five brothers came to Australia between 1922 and 1924. Two returned to their womenfolk in Sicily after a few years, but Giuseppe, Angelo and Carlo made the move a permanent one. Citizenship: In 1930 both Giuseppe and Carlo renounced their Italian citizenship and became naturalised, primarily so they could purchase land. Their applications each required a report from police and three character references from British citizens. The character references were provided by respected townsfolk, including the local butcher and a Justice of the Peace. All agreed they were ‘person(s) of good repute’. Of Carlo the police report said, ‘he is industrious, sober, and bears a good character. Of Giuseppe the police report said, ‘Applicant bears good character’ and ‘is of sober habits, and is a hard worker, and is well known in town’. During the Great Depression of the 1930s, the brothers pooled their resources and managed to accumulate several properties, including a cane farm, a boarding house, a garage/workshop, and two houses in town. Arrest: On 11 June 1940, the day after Britain declared war on Italy, Angelo was arrested by police for no apparent reason other than he was an ‘enemy alien’. He was 48 years old and had been living in Australia for eighteen years but he wasn’t naturalised. He had little schooling and spoke no English. In the months that followed, the police made a series of raids on the boarding house and the farmhouse, searching for hard evidence of subversion. Carlo was arrested on 3 November 1940, on the police allegations that he was ‘a member of the Fascist organisation in Babinda district’, was ‘a financial member of the Italian Cane Growers Association’, had ‘recently returned from a visit to Italy’ and was generally ‘a bad class of Italian’. 1 document in foreign print which appears to be a schedule. So began a journey that took them 3000 kilometres from Far North Queensland to the Riverland District of South Australia for three years behind barbed wire. Were they a threat to national security? Was three years in custody warranted? Acknowledgement: All material quoted in this post was referenced from files held by the National Archives of Australia. Many thousands of Italians and Germans living in Australia were interned in World War Two. Why? Were they bad men? Were they enemy spies? Did they threaten to fight for their homeland within Australia? When the Aussie soldiers were sent overseas, did they take advantage of their women? Internment was invoked as a preventative measure. It was legislated by the National Security Act 1939 that applied to every state and territory of Australia. The Act gave the Governor-General the powers to do whatever it took to protect the public safety and defend the Commonwealth. any action to be taken by or with respect to alien enemies, or persons having enemy associations or connexions, with reference to the possession or ownership of their property, the conduct or non-conduct of their trade or business, and their civil rights or obligations. In plain English, that meant practically anything could be done to anyone who was of Italian or German extraction, regardless of how long they or their families had lived here. In Queensland, the police were charged with the authority to make the arrests. They relied on intelligence obtained from their own sources and also from the public. This presented a wonderful opportunity to ‘dob in’ a wog. It was no secret that Eye-ties and Krauts were not popular in the general community. Many Italians who’d migrated early in the twentieth century flocked to the sugar cane growing regions of tropical north Queensland. Australia’s so-called White Australia Policy had banned the importation of cheap yellow or black workers. The widely-held belief was that Britons and fair-skinned northern Europeans were unsuited to work in the tropics. The sugar industry was booming, there was a critical shortage of labour, and Southern Europeans fitted the bill. Their olive complexions provided natural sun protection and they were ‘white enough’ to pass. Most had little formal education. Some were illiterate and spoke neither English nor Italian, but the dialect of their region. They congregated in boarding houses and cane barricks to talk, play cards, smoke. Occasionally there might be beer, but they were not heavy drinkers. Brothers and friends pooled their hard-earned cash and bought land of their own. In a few short years they prospered. The locals became envious. To be fair, they would have feared Australia had been invaded by Italy, albeit peacefully. When war was declared against Germany in 1939 and against Italy in 1940, it was time for the Aussies to retaliate. Who was captured and why? Read my next post to find out. Hall at General Headquarters today. 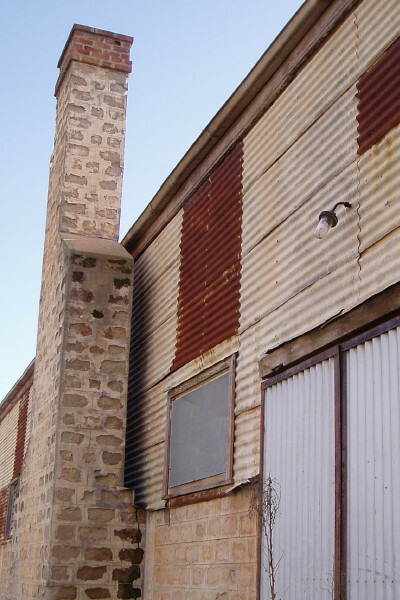 Loveday Internment Camp in the Riverland District of South Australia was one of many internment camps set up by the federal government in World War Two to detain so-called ‘enemy aliens’. An ‘enemy alien’ was a person of German, Italian, or Japanese origin who was living in Australia. Most were migrants, some were born here. The Italians of FNQ joined cane-cutting gangs and toiled hard under a punishing sun to raise enough capital to buy land of their own. As well, they sent regular sums of money to Italy to support the wives and parents they’d left behind. Theirs was a meagre existence. Home was a tiny space in a cane cutters’ barracks, or a tin hut in the jungle, or a shared room in a boarding house. The land they bought was virgin rainforest. Before the first stick of cane could be planted, they had to clear the natural vegetation – giant rainforest trees, stinging vines, an impenetrable understorey – using axes, machetes, cross-cut saws, and horse-drawn implements. No tractors or chainsaws in those early days. When the war came, the Italian farmers were systematically rounded up by the police, imprisoned without a trial, and transported from one end of this vast continent to the other, to remote camps run by the military. At Loveday they were treated well. They had decent food, and the iron-roofed huts kept them warm and dry. They were offered employment about the camp for payment of one shilling (ten cents) per day, and were encouraged to provide their own entertainment. There was a canteen where they could buy small luxuries such as writing paper or fruit, and a hobbies workshop where they could learn woodworking and metalworking skills. In all, 2200 Italians, 2000 Japanese, 500 Germans, and 600 men of other nationalities spent the war years in the six compounds that made up Loveday Internment Camp. Today, all that remains of the camp are the hall at Group Headquarters (now a disused barn) and a few concrete footings amongst the vines. On Thiele Road, lonely signs mark the site of each compound. In the nearby towns of Loveday, Barmera, Cobdogla, a handful of passionate locals volunteer their time and energy to keeping this little-known aspect of Australian history alive. The hall at GHQ was converted into a barn sometime after the internment camp was closed. Today it stands close to Thiele Road, Loveday and is surrounded by vineyards. Unfortunately many of the ruins are on privately-owned property. If you stop at the old GHQ building and walk around the back, you will see a cell block and other footings close by.